A reported software defect that could prevent the side curtain airbags in many Ford Escape model SUVs from deploying has forced the auto manufacturer to issue a recall of almost 700,000 defective vehicles across the United States. According to news reports and releases from the company, the recall covers 2013 and 2014 Ford Escape SUVs and C-Max gas-electric hybrid vehicles. In a statement to the public, a Ford spokesperson indicated that there is a potential software glitch in the on-board computer system that could prevent the side curtain airbags in these vehicles from deploying in particular types of rollover collisions. The spokesperson indicated in the official statement that so far, there have been no reported collisions or injuries attributed to the defective airbag problem. 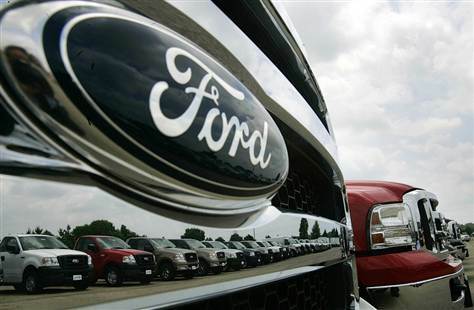 The auto manufacturer also said that customers who purchased a defective Ford Escape can take their vehicles to local dealerships to have the internal computer that controls the airbags reprogrammed or replaced free of charge. This is common practice in the auto industry, and can sometimes cost companies millions of dollars in parts and labor costs. Another particularly troubling issue with these vehicles is that there have been reports of malfunctioning door handles, which can prevent the vehicle from being properly latched shut. In theory, the door handle issue could potentially cause the door to suddenly open while the vehicle is in motion, which would present a serious injury risk to all passengers in the vehicle. Thankfully, there have been no reports of motor vehicle collisions or injuries resulting from either of these vehicle defects. Malfunctioning airbags and doors that fail to latch could easily lead to a serious injury if an accident were to occur, and the auto manufacturer – as well as the owners of these vehicles – are fortunate that the defect was discovered before any serious injuries resulted. Perhaps one of the most noteworthy instances of auto defect cases occurred between 2009 and 2011, when it was reported that there were a number of issues with the Toyota Camry and Lexus ES 350 vehicle models that would sometimes cause the vehicle to accelerate unexpectedly. This particular defect is believed to have resulted in at least 37 deaths across the country, though there is speculation that the number of victims could be greater – some experts say that a number of additional fatal crashes are believed to have been caused by unintended acceleration, but evidence linking the crash to the defective vehicle may have been more difficult in some cases. By 2010, there were more than 70 pending lawsuits against Toyota stemming from the defective accelerators with the claimants ranging from moderate bodily injury victims to wrongful death. In March 2014, Toyota reached a settlement with the U.S. Justice Department stipulating that the company would pay a $1.2 billion criminal penalty in exchange for deferred prosecution. The $1.2 billion criminal penalty stands as the largest ever waged against a corporation in U.S. history, and serves as a reminder to car manufacturers that customers’ safety is much more important than saving face, especially when the company is responsible for the mistake. It would appear that Ford is following the Attorney General’s advice, which could help them avoid any public backlash in the long run.